"I just feel free to do boating and relax." 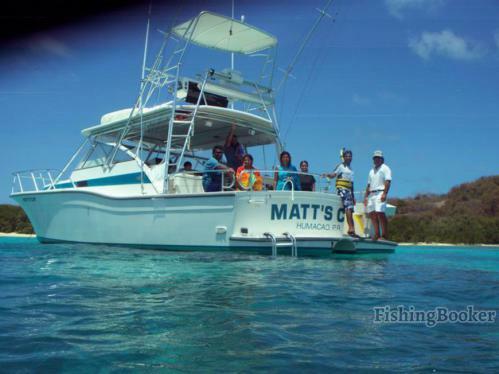 Captain Matt Quin was born in San Juan and has been fishing these waters his whole life. For over 3 decades he has been running charters. For him, this doesn't even feel like a job – he is having fun and making people happy, which makes him happy in turn. It rained so that made our trip uncomfortable. I brought my wife and kids. A party of 8. The whole trip consisted of just trolling around dragging lines behind us. One fish was caught. 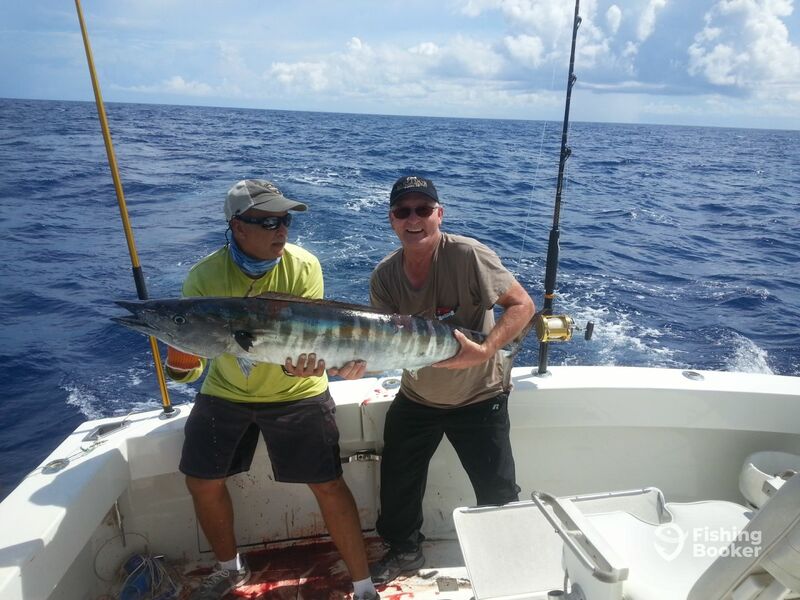 A wahoo. It was a nice fish. But, considering only one person even touched a fishing rod and we spent nearly $2000, I feel it was a complete rip off and and a waste of one of our days on vacation. The crew were nice. 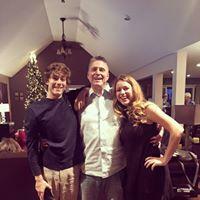 The experience completely sucked and I now have anxiety for have wasting our family’s money on this trip. The Captain and Frank were awesome !! We had to deal with Mother Nature issues as well as the majority of the group suffering from sea sickness. Even still they kepted fish on the lines, and were able to help most everyone recover. 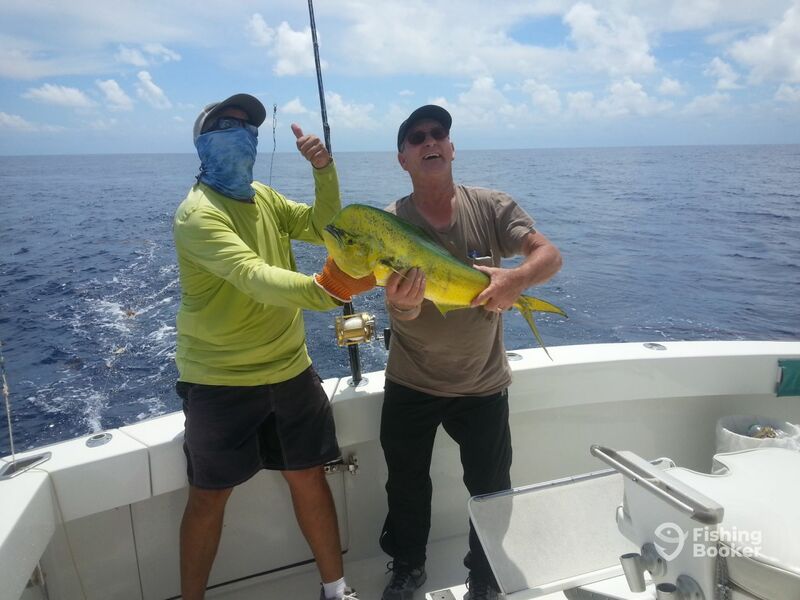 We had a great time fishing, started out with meeting Capt Matt and First Mate Frank and the boat Matt’s Cat, who talked us through what to expect. Can tell both were very experienced with deep sea fishing. Great memories with my family fishing for the first time in the ocean. Ended up catching a hand full of Barracuda’s, two Mahi-Mahi, and a 40 pound Wahoo. Will always remember this trip and highly recommend to anyone wanting to fish while in Puerto Rico. 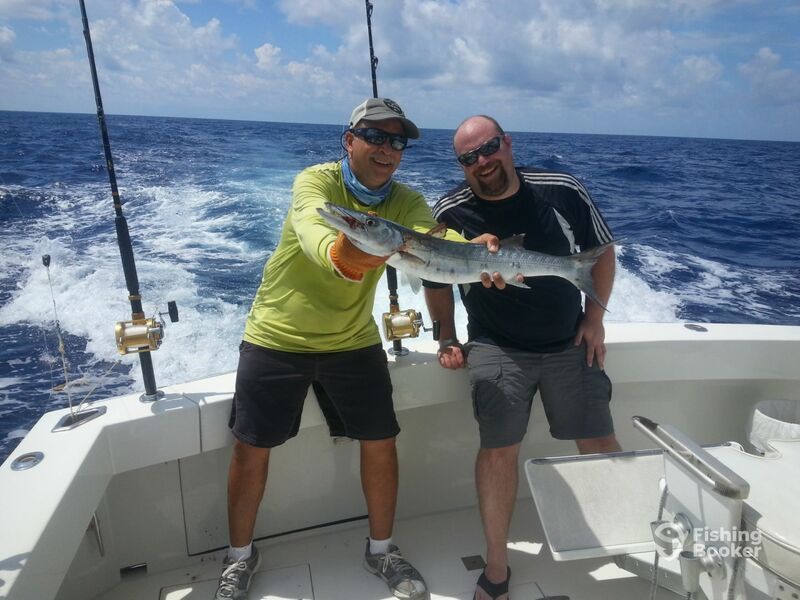 We had a great time.The only thing that didnt top off our excursion was the fact that we only caught barracuda,which was a fun fish to catch.however we were really hoping to keep some of our catch to cook at home later and you cant keep and eat the barracuda.So you may specify that you would like to try and catch a fish that you can keep.The crew was fantastic and very helpful and friendly.Next time we come to P.R. we will come back here without a doubt.We would probably do an all day excursion and a smaller group and try to catch fish we can keep for dinner. 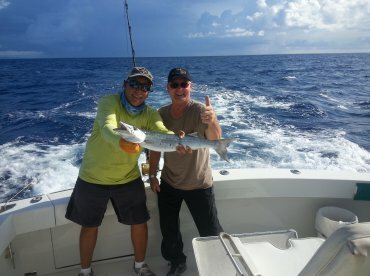 The overall experience was extremely fun, Capt, Matt was really doing his best to make sure we have a great trip, he is a real professional, but the fishing was a little slow, it just is sometimes, we did catch a number of nice Barracudas, would definitely recommend others to book this trip on FishingBooker.